Four years ago, the Internet gazed upon the glory of a BMW Z4 getting a Viper V10 pulled from a Ram truck crammed up its nostrils. But back then the car was a work in progress. Now the car is complete, and it’s for sale, too. 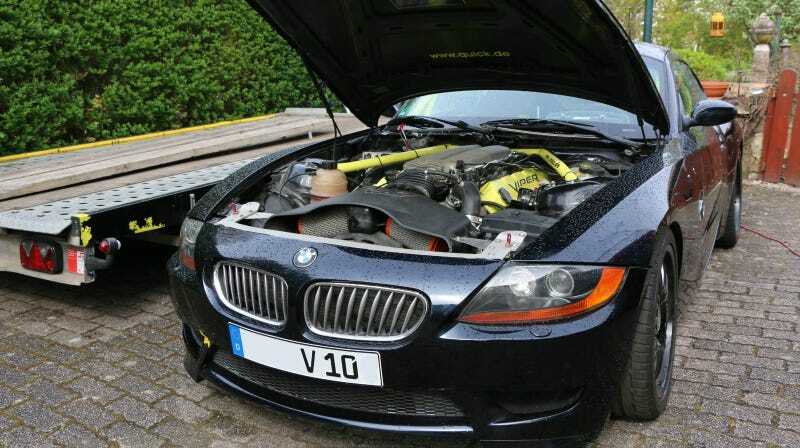 The excellent EngineSwapDepot, which noticed the Z4 with the V10 back in 2012, also noticed it up for sale now. Hm. Z4 with a V10. A Z10? I want to call it a Z10. The car looks like a real ripper, with a good 500+ horsepower and enough torque to, I don’t know, uh, tear an oak tree in half. Yeah. That sounds like something torque would do. Nobody really knows what torque is. It’s kind of a myth. It’s not entirely clear why these people decided to go through all this work to get a Viper V10 into the car when BMW has its own V10 to work with but oh right nevermind. In any case, it’s awesome to see huge 8.3 liter Viper motors showing up in cars. 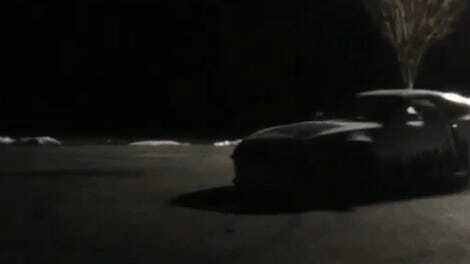 I myself am a huge fan of the Supra with a turbo’d Viper V10 that runs around the American drift scene. This particular Z10 is not cheap, but it did require a lot of fabrication to get the V10 and T-56 six speed to fit in the car. The whole thing protrudes much more into the cabin than the Z4's original drivetrain did, and getting the exhaust to worm it way through the engine bay took a lot of custom work. Find the thing on eBay in the otherwise bland and grey city of Saarbrücken, Germany here, then ship it over and do burnouts until your lungs fill up with rubber.